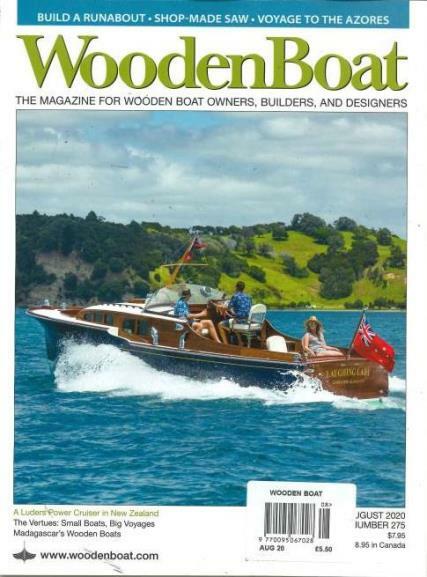 Wooden Boat Magazine is a beautiful magazine written for wooden boat owners, designers and builders. Wooden Boat Magazine provides a platform for designers, builders and owners who are looking for brand new ideas on building unique boats. This is for enthusiasts who are looking for boats of any size and construction materials. The magazine offers feature articles, tool recommendations, techniques, book reviews and design guidelines. Inserted with each issue is the on-going series "Getting Started in Boats" which aid the humble beginner with basic instructions. Run the contests – build a wooden runabout and all you need to do is apply design principles, powering options and the construction techniques. Purchase and build a boat with kids; great plan to teach future boat builders how to craft a wooden boat.